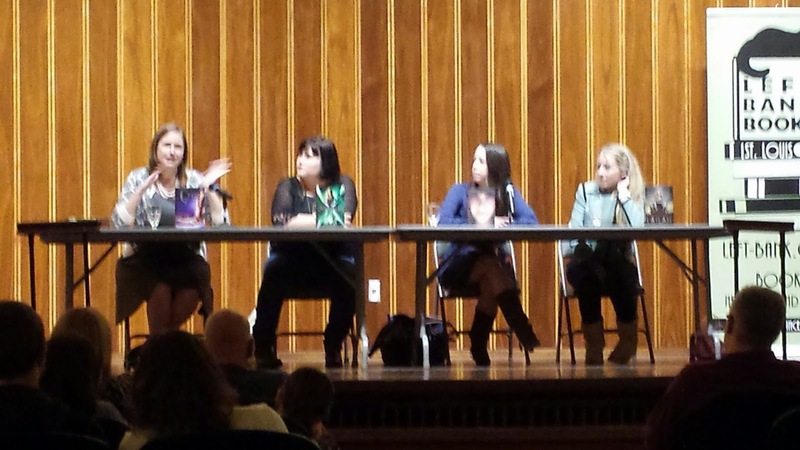 Ensconced in Lit: Interview with the #FierceReads Authors: Marissa Meyer, Jessica Brody, Gennifer Albin, and Nikki Kelly and HUGE US GIVEAWAY of all of their books! Dear All: So excited to finally get to share with you the transcript of the Fierce Reads event that I attended last month. It's a long time coming, but it's hard to carve out a block of time to transcribe with a little one! I had such a blast chatting with Marissa, Jessica, Gennifer, and Nikki before the talk and signing. They were hilarious, and it was great to get out of the house, and I laughed harder than I have in a long time! The interview is long, but it's definitely worth reading. Thanks so much also to Mary @ Macmillian Children's Publishing Group and Left Bank books for putting this on! Christina @ Ensconced in Lit: So excited to be doing this interview with you guys! My first question is, describe to us in three words your trilogy or book. Gennifer: Isn’t fairytale one word? Marissa: “Fairy” can be an adjective. Rest of group: I like that one! Jessica: Well, I’ve had it for a while. Gennifer: Three is really, really super hard. Usually we get five! Jessica: I’ve got one for Nikki! Nikki: Oooh, good! Go ahead, Jess! Nikki: I was going to say, Angels, vampires, ? Gennifer: What about me? Thanks a lot, guys. Let’s see. “What a tangled world she weaves.” That’s more than three, I know. Christina @ Ensconced in Lit: Each of you had to do extensive world building. Can you tell me a little about developing those worlds, what helped or inspire you? Your favorite part about world building and your least or most frustrating? Marissa: Well, for me, I knew early on that I wanted my series to have a really global feel. Because I knew there were these things happening with the Plague and the war with the Lunars that would impact every person on the planet. So I didn’t want to just set it in America or just in China or wherever. So for me, it wasn’t only fun to choose what parts of the world to set it in, but also to try to bridge the gaps with different cultures—what parts of these cultures would have stayed and what would have been kept from these traditions, what food would they have versus what they would have brought in from other parts of the world. But they have a universal language, which makes sense because it makes things really convenient! Marissa: And so for me, it was a lot of that, mingling and blending of cultures, a lot of East meets West. Marissa: I know what you mean. I definitely wish I had put more thought into things beforehand too because there are a few moments in Cinder where I think, “Well, it doesn’t really work, but… [Laughter] Yeah, we’ll just make it work, just squeeze a little. Jessica: Isn’t there a word for that? Where you try to squeeze things in to work? Others: Yeah, yeah, that’s it. Gennifer: So I just went kind of crazy with the first book and tried to include a lot of things that I thought were cool and interesting. There’s this dash of film noir where everyone wears these pin striped suits and silk stockings and fedoras, because I think they’re really beautiful. If I were to create a perfect world, people would wear stuff like that all the time. Gennifer: What? Pink curls! We’d all be very glamorous. So then I started thinking about the style of how I wanted Crewel to look, and I built backwards from that. I asked myself why it logically would look like this. So that’s part of the world building of the Crewel world, where it spins off from artistry. And then using a lot of spinning and weaving terminology. There’s actually more sewing terminology than weaving terminology because I know more about sewing. But it was also more fun to think about if reality really was like fabric. Like how would we feel if you ripped it and what could you do to it. There was a lot of playing with that. Nikki: Well, in Lailah, there are three dimensions. The first and the third dimensions are a spin on heaven and hell. So that was kind of the basis for it. Thousands of years ago when we were telling ourselves about heaven and hell, angels and devils, people would tell stories explaining them. Now here’s a different possibility of how to explain what these things are, and how these stories were received a thousand years ago. Obviously, this is just true to my book, not to real life. Nikki: Because it’s three books, you don’t want to write something that doesn’t make sense three books later, so I put a lot of thought and research into this, sciency kind of stuff as to how this would work. One of the worlds exists in light and the other in darkness. So what works in one world should work in the opposite way for the other. There was a lot of research on sciency, clever stuff, which was really hard, because if you’ve read sciency stuff, it doesn’t make sense! Nikki: You then have to look for people who will dumb it down. And then you say, “That still doesn’t make sense!” So you have to find more resources. The first book sets up the whole idea of the world, and the second book starts to introduce more of the science of the world. And by the third book, we go to the worlds. But I was very conscious that what I said in book one wouldn’t be detrimental to what happened in book three. So far it’s been ok.
Nikki: She needs antivirus software! Nikki: The good thing about writing is that you base it in science and then evolve it with your imagination into something else. Jessica: Fictional liberties! [Laughter] It’s a phrase I’ve come to love! Nikki: Exactly! You take something known and then spin it. I love to spin things! It’s more fun that way. Gennifer: We create our reality. It’s fantastic. Christina @ Ensconced in Lit: All right. If you spent a day in each of your worlds, what would you do and why? Marissa: I’d like to go to a ball. Gennifer: Good answer. Can we just spend the day in Marissa’s world? Gennifer: I think this is an excellent plan. Bad things happen in my world. I guess there is a plague in yours. Marissa: It’s a risk we all take. Marissa: Give yourself violet eyes! Christina @ Ensconced in Lit: So you are saying you wouldn’t want to go back into time and live in a Shakespearean world. Jessica: Nope, I wouldn’t go to that world, I’d go to the other one. Christina @ Ensconced in Lit: Because you also might get plague! Nikki: I don’t really want to go to my world. I want to stay in London. Jessica: Well, that’s partially your world. Christina @ Ensconced in Lit: Except without the mythology. Jessica: Oooh, well this is bright! [Laughter] I need some sunglasses! Nikki: Yeah, I guess I’d go to the first. Jessica: You’d probably get a really good tan in the first dimension. Nikki: Yesss, you probably would. It’s all beautiful and crystal seas, no sky or land, everything just kind of comes together. But this is all very devious because things are happening behind the scenes that you don’t know about yet. Christina @ Ensconced in Lit: Flail! Nikki: Let’s just stick with the flailing. Christina @ Ensconced in Lit: Flail can stand for spoiler alert too. Marissa: You know how TV shows have a hashtag for each episode? Like Live tweet, you are watching this show! We should do that for the Fierce Reads event. Gennifer: You should do that. You have like a million followers. We can retweet off of you! Gennifer: Oh! I just thought of where I’d go in my world! I would go to Kincaid’s, because Kincaid’s is actually Hearst castle. So it’s a real place, but if you go to Hearst Castle now, you have to take a tour and stuff. But if you go to Kincaid’s, you can run around and do whatever you want in Hearst Castle! Gennifer: So yeah, I think I’d like to have run of Hearst Castle for a day. I could deal with Kincaid. I would just have Adelice with me. Go swimming in one of the mini pools. Christina @ Ensconced in Lit: Did any of your characters surprise you? If so, who and why? If not, who was the most fun to develop? Gennifer: There were two characters that weren’t in the original manuscript. And I actively put one in. The other one walked into a scene… um, I don’t know who you are! [Flails] You are just going to complicate things because everyone is going to say, “LOVE TRIANGLE!” But Eric was not a character, just showed up. And I said, “Who are you, and why are you here?” And once I realized why, I said, “WHOA! This complicates things!” But I’m so glad because he’s one of my favorite characters. Christina @ Ensconced in Lit: Who is the other one? Gennifer: Cormac! He wasn’t in the original. It was just Maela at first, but she was just really, really mean and just straight up evil. And I wanted someone that you’re never quite sure of, and not even up to the end of the first book, you can’t peg Cormac for being purely evil. I love him. He’s actually my favorite character. Christina @ Ensconced in Lit: I really liked Kaelen. Jessica: Yay! Team Kaelen! You guys are rare. Marissa: Usually I say Iko because she is the most fun character to write, and she’s always surprised me. But hearing Jess talk, she made me think of another character, so I’m going to mix things up a little bit and say Aimery, who is one of the evil queen’s thaumaturges. I originally threw him in when the queen arrives on Earth in Cinder just because it seemed like she needed more people hanging around. Like a queen wouldn’t have just two guards, right? She needs a minion. So he had no purpose except to bug people in the first three books, and then I started writing Winter, and then all of a sudden, he became all devious and evil, and I said, “I had no idea you were so creepy!” So he became a really great villain character. Nikki: I think it’s Brooke for me, who is a sidekick character, and she’s American. No offense to America, but she’s a bit of a fashionista and self absorbed. In the first book, she comes across as a bit one dimensional at the beginning. By the end, you get a bit of the backstory and understand her a bit better. But she surprised me. She always seems to grow more than I was expecting her to. And she has a nicer side to her that I knew she had in there somewhere! It just took a little time for it to come out. People don’t really like her too much at first , but hopefully, eventually they’ll like her more. Christina @ Ensconced in Lit: What? I liked her! I wanted to shop with her! Jessica: We all want to shop with her. Nikki: What did you think of Enora? Because she gets a really bad rep.
Christina @ Ensconced in Lit: I felt like we didn’t see a whole lot of her. Nikki: Actually, there’s a short story with her and Gabriel, and people said they liked her more in the short story, or at least, understand her more. Christina @ Ensconced in Lit: Well, we only see her through the main character’s eyes and she hates her. Nikki: Right. I was telling that to someone recently. Enora’s been travelling with Gabriel for hundreds of years, and we don’t know quite how that came about in the first book. Then along comes Miss Blondie, and suddenly, Gabriel’s all over her. And she’s been slightly elbowed out. In her book, she’d be the hero and Lailah would be the villain. It’s always interesting how you look at it. Yeah, I guess Brooke is more likeable than I thought! Nikki: She does bring a bit of comic relief. I’m glad you liked her! 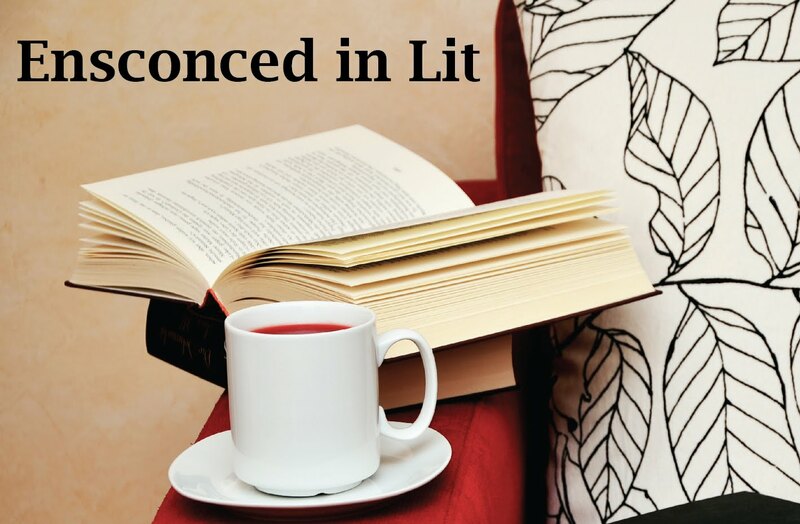 Christina @ Ensconced in Lit: I always ask this question to authors, and I always have authors who haven’t read Harry Potter, so if you haven’t, just say you haven’t. Jessica: You should be able to get through at least 2 books during this tour. Gennifer: 7 days, 7 books! Nikki: Well, I have been to Harry Potter World in London. Jessica: But what a waste! Christina @ Ensconced in Lit: If each of your main characters (or another favorite supporting character) were taken to Hogwarts, which house would they be sorted into and why? Jessica: Seraphina would totally be a Ravenclaw. She’s so logical and book smart. Gennifer: Adelice would be a Gryffindor. She’s brave but a little foolhardy. Doesn’t know when to shut up around Cormac or Snape. Marissa: Scarlet and Cinder would both be Gryffindor. They’re both brave and sometimes that works against them. Cress would be Hufflepuff. Christina @ Ensconced in Lit: I thought that would be Cress’s house. Gennifer: What’s Hufflepuff’s main character trait? Jessica [high singsongy voice]: We’re friends! Jessica: I think Lailah would be a Gryffindor. Nikki: Yes, I think so too. I’m not completely dense to Harry Potter. Gennifer: No one said Slytherin! Jessica: Kaelen would totally be Slytherin. Gennifer: Yes, well, there are other characters in our books that would be Slytherin. Cormac would totally be Slytherin. Marissa: I’m trying to think if any of my evil characters would not be Slytherin. Marissa: Thorne would be Gryffindor. Christina @ Ensconced in Lit: I have a crush on him. Christina @ Ensconced in Lit: OK. I think we’re running out of time. Who would play your main character in your dream movie cast and why? Marissa: I like Shae Mitchell for Cinder. She’s in Pretty Little Liars. Jessica: Which one is she? Gennifer: She’s one of the liars. Nikki: I can tell you my three. Alex Pettifer for Gabriel. Gennifer: He can’t act his way out of a box. Nikki: I don’t care if he can’t act. He can just stand there and look nice. Gennifer: You say that now, but that’s how we got Taylor Lautner in Twilight. Gennifer: Well, just make him take his shirt off. Nikki: And Shiloh Fernandez for Jonah, he’s hot too. Gabriella Wilde for Lailah. Gennifer: The problem with making these casts is that the actors we think of are too old. I think Emma Stone would be a great Adelice, but she’s too old. If we could get a time machine… And I feel super creepy casting 16 year old boys! Gennifer: So I just leave that to the gods of teenage boys who would know that. But Robert Downey, Jr. would be Cormac. Christina @ Ensconced in Lit: No wonder you like Cormac so much! Marissa: I really had my heart on Angelina Jolie as the Evil Queen. But then she was just Maleficent. Jessica: I can’t do my dream casts anymore because they are casting the movie right now! Jessica: But for a dream cast, the fans chose Ryan Newman as Seraphina. Christina @ Ensconced in Lit: All right. Who currently is your YA book boyfriend? Marissa: [flail and big sigh] Sturmond from Siege and Storm. It’s the dering do, tell me what you want and I’ll make it happen, attitude. Gennifer: The man every girl dreams of. Marissa: I’m going to build a secret base at the tip of this mountain. Because I CAN. Jessica: I’m going to go with Josh from Isla and the Happily Ever After. He’s so adorable! Literally, I have a new book boyfriend every week, but he’s a good one. Gennifer: Why choose just one? Gennifer: It’s really hard for me. I’ve been reading a lot more adult fantasy recently. I can’t come up with anyone YA. Jessica: How about a book man friend? Gennifer: Then it’s Matthew Clairmont from A Discovery of Witches. Cause you know. Thousand year old vampire who also has a degree from Oxford and is a scientist. That just really does it for me. Like you’re a vampire and hot and super smart! Nikki: Tobias from Divergent. I don’t need to say more! Christina @ Ensconced in Lit: Thanks so much for doing this interview with me! It was a blast! Enter away! Please remember, you have to be 13 or older to enter, and I am not responsible for lost shipments in the mail. I will be forwarding the winners to the Macmillian Publishing Group. Enjoy! Hooray! I'm so excited to finally see this post! I was able to attend the event in St. Louis and you have perfectly captured each lady in your interview! This was my first author event and it was by far one of the best nights! Reading your interview reminded me of how warm and wonderfully funny all these ladies are! Loved meeting each one, especially Nikki! Thanks again! Great in interview! Sounds like itwas a great time! Great interview. Sounds like it was alot of fun. I like Nikki's comment about basing your world building is science and then evolving it with your imagination really gets to the heart of writing (especially for fantasy/paranormal writers). Overall it was a wonderful interview; thanks for sharing! LOVE how they do their worldbuilding - love how it's so detailed, how their personal likes and passions factor in and how they then modify to suit the book.Gennifer's comments about how her passions played into the fashion of the world, and then how worldbuilding changed from book to book in Jennifer's series are so interesting. Also, love how characters just show up! And become awesome!! All these authors are so amazing and funny and awesome!! Just in case rafflecopter shows my location outside US, I'm doing a semester abroad and would use my regular US mailing address. Wow, what a great interview! I loved how you even included (laughter) in it! Lucky to have met these authors! This interview was hilarious. They seemed like the funnest group! I was so incredibly sad the morning i was supposed to go to the Fierce reads event in NYC i pulled my sons elbow out of the socket ( reocurring prob) and couldn't go so im glad to see these fun post and live vicariously through you lovelies! Okay, one, I LOVE #flail. LOVE IT. Also, it was really interesting to hear about the different processes they used to world build. The global feel really comes across in the Cinder series and that's one of the things I love the most about it.